SINGAPORE — With fake invoices that showed several companies — including restaurant chain Fish & Co — owed her firm money, the 35-year-old owner of a construction firm conned two debt factoring houses of S$25 million over two years. Choy Peiyi then proceeded to splurge her dishonest proceeds on luxury goods, including a second-hand BMW car and a condominium unit. She gambled at the Marina Bay Sands' casino, invested in a venture capital firm, and also spent more than S$1.3 million to pay off her business' bad debts and operating expenses. 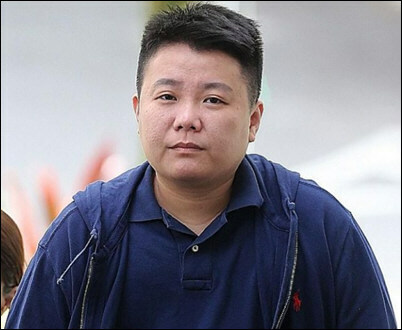 On Thursday (June 28), Choy, the sole director and shareholder of Vanguard Project Management, was sentenced to 10 years' jail over 23 charges of cheating Capital Springboard, an Irish debt factoring company which is now suffering a loss of close to S$7 million due to her deception. A total of 214 charges, including two money laundering charges, were taken into consideration for the purposes of sentencing. Debt factoring, also known as accounts receivable financing, is a common practice used by small and medium sized enterprises to improve their cash flow. When a customer takes too long to pay up, what these companies do is they sell the debt that is owed to them to a debt factoring house — at a discount. It then becomes the factoring house's responsibility to collect the debt. Court documents stated that Choy's offences started sometime in late 2014 when she was introduced to a factoring house called Arc Trade Finance Fund and struck a "receivables purchase arrangement" with them. Under the deal, all entities controlled by Choy would assign the account receivables for their transactions to Arc, which would pay her 80 per cent of her outstanding invoice amounts. Sometime in 2016, Capital Springboard took over the contract after Arc told Choy that the factoring arrangement must be done through a company and not a sole proprietorship like Vanguard. Under its agreement with Choy's firm, Capital Springboard paid Choy for a bulk of the outstanding invoice and purchase order amounts — without knowing that many of them were fake. A broker was also paid about S$800,000 for facilitating the factoring arrangement between the two firms. To pass off the fictitious invoices and purchase orders as genuine, Choy made ink stamps of various companies, including that of Evershine Services, Fish & Co Restaurants, Lithan Academy, and PPG Coatings (Singapore). It was not mentioned in court how Choy's offences was uncovered, but TODAY understands Capital Springboard found out about her ruse after going through her company's accounts when it wanted to make some adjustments to their arrangement. When the police conducted a search of Choy's home, the companies' fake ink stamps were recovered, along with an ink stamp belonging to an employee of Mount Elizabeth Hospital, which is part of Parkway Hospitals Singapore — a company Vanguard falsely claimed owed it money as well. Asking for a sentence of at least 11 years for Choy, Deputy Public Prosecutor Leong Weng Tat said more than S$1.3 million of the ill-gotten money still could not be traced, and Choy did not disclose an investment of S$1.708 million in Kinetic Venture Capital to the police. She admitted to the investment only when the Commercial Affairs Department (CAD) established the fact through funds tracing. The CAD has to date seized S$80,000 from Kinetic. Added DPP Leong: "The accused had clearly acted out of her own self-interest as she had spent significant sums of the misappropriated money on herself. (Besides) the loss (of S$6.8 million) caused by the accused in this case is staggering." Choy will start serving her sentence on July 12 as she asked for a deferment of her sentence to settle her business dealings in view of the long sentence. She is currently out on a S$300,000 bail. For each of her cheating charges, Choy could have been sentenced for up to 10 years in jail and fined. Vanguard Project Management director Choy Peiyi was sentenced to 10 years in jail after pleading guilty to 23 counts of cheating. By using fake invoices, the sole director of a company which provides renovation and interior design services duped a crowd-funding firm into disbursing more than $25 million in cash. The crowdfunding firm, Capital Springboard Singapore, allows small and medium-sized enterprises (SMEs) to borrow cash from investors against unpaid invoices issued to customers by the SMEs. Although Choy Peiyi, 35, returned about $20 million of the money, the company still suffered more than $6.8 million in losses. The director of Vanguard Project Management was sentenced yesterday to 10 years in jail after plea-ding guilty on June 8 to 23 counts of cheating. Another 212 cheating charges and two counts of mo-ney laundering were considered during sentencing. She committed the offences between late 2014 and early last year. In a genuine arrangement, Choy could sell monies owed to Vanguard Project - as indicated in invoices - to a factoring agency like Capital Springboard Singapore, which would, in turn, hand her the cash. And in certain circumstances, when Vanguard Project is paid by its clients, it could return the amount given by the factoring agency. Choy abused the system and decided to cheat Capital Springboard Singapore. To create fictitious invoices and purchase orders, Choy made ink stamps bearing the names of companies including Fish & Co and cleaning company Evershine Services. Deputy Public Prosecutor Leong Weng Tat said that between November 2016 and March last year, Choy created 23 fictitious invoices issued by Vanguard Project for purported renovation works which were not carried out. These invoices bore the names of the companies whose ink stamps she had duplicated. Choy then submitted these bogus invoices to Capital Springboard Singapore, which handed her the money. Court documents did not mention how her offences came to light. But after her arrest, she admitted to the Commercial Affairs Department (CAD) that she used about $1.4 million of her ill-gotten gains to pay off items including her company's bad debts. DPP Leong said: "The accused had also admitted to the CAD that she had spent the money on herself, to gamble at Marina Bay Sands, for overseas trips, to purchase a second-hand BMW and also to pay the down payment for a condominium unit." Choy, who is now out on bail of $300,000, was ordered to surrender herself at the State Courts on July 12 to begin serving her sentence. Mr Roger Crook, chief executive of Capital Springboard, said that "this was a strategically executed act of crime for selfish gains and one that could have happened to any of the other invoice financing platforms here. We are pleased that justice has been served and the accused has been taken to task".